This is an absolutely beautiful Gatsby mirrored table lamp. This lamp has more of a modern feel to it, perfect if you're looking to go for more of a modern look in your home. 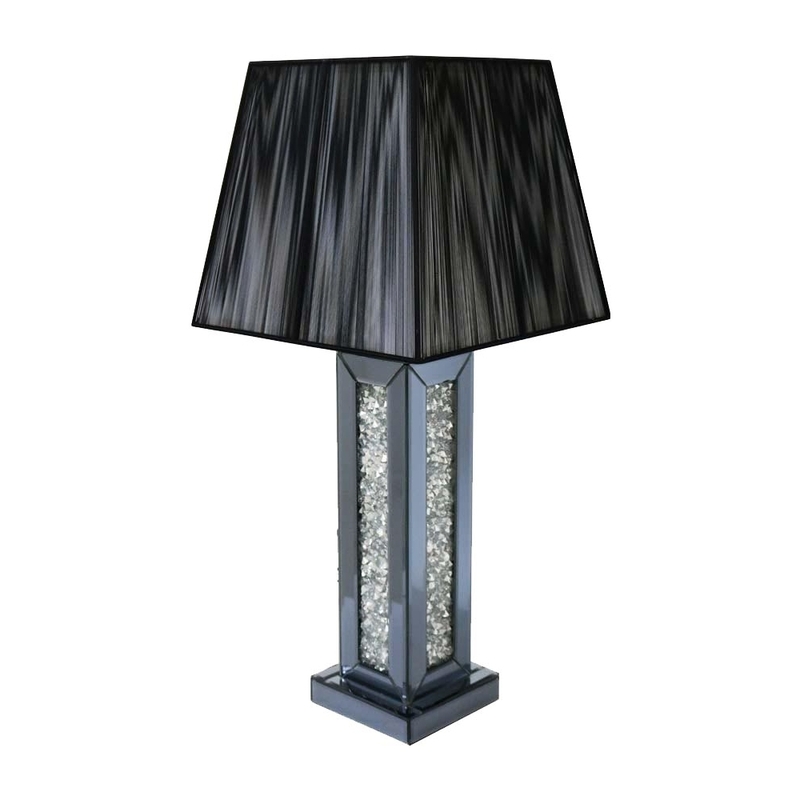 The lamp is a beautiful silver/grey colour with silver like crystals and finished with a stunning 13" angular black shade. This pretty mirrored table lamp is part of the Gatsby range.